Welcome to our new series to introduce the 2018-9 Challenge and Research Grantees! We kick off today with work from Bike Walk Tompkins in Ithaca, NY. See below for full list of posts. Bike share ambassadors are nothing new, but it’s certainly different to put them to work in promoting a dockless system. That’s exactly what Ithaca nonprofit Bike Walk Tompkins is up to with its Better Bike Share funding. The bike share system in Ithaca is managed directly by Lime Bike. The system launched in late April, and an official ribbon-cutting event happened at a Streets Alive! Ithaca event during the same month. 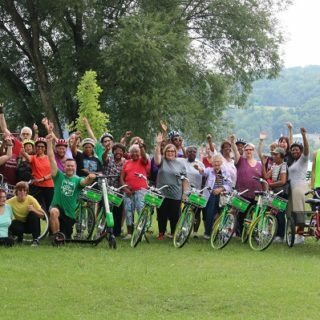 Bike Walk Tompkins, in partnership with other community organizations, has selected five community ambassadors to do bike share research and education within target Ithaca communities. 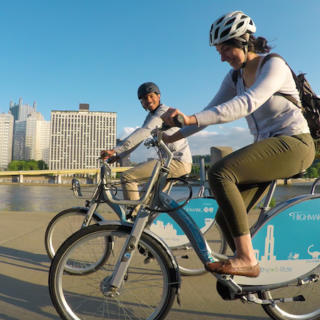 There’s a lot of enthusiasm in Ithaca around the new bike share endeavor. 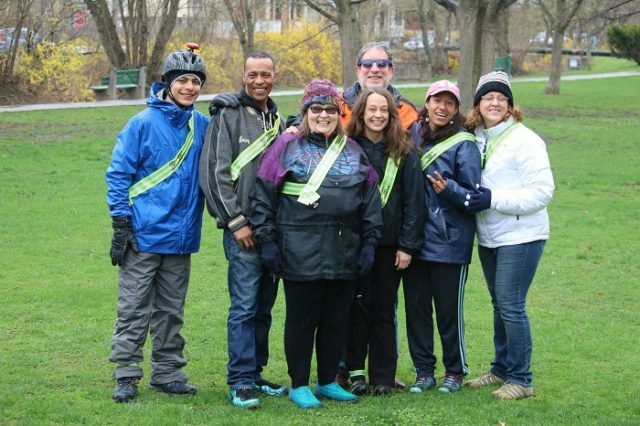 Ithaca looked to existing programs, such as Atlanta’s bike champions, to develop their own program. Champion ages span from 15 to 70, and they come from a variety of different backgrounds. Even before the champions had officially started their work, they began to get requests to do rides. One of the Ithaca champions, Devra Thana Rivkin, explains the potential that she sees in the program. Rivkin is involved with a multitude of local organizations, from education, youth initiatives, and sports. 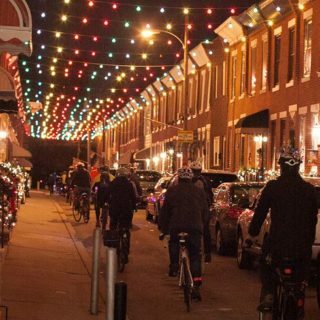 This community involvement makes her a great candidate to solicit local neighborhood bike share participation. The champions program will run into September. Choosing Lime Bike as the operator for Ithaca’s dockless system was a thoughtful process. In the end, part of the reason Ithaca chose Lime Bike was the view that the company offered a higher quality bike than some competitors, which would be able to handle the city’s hilly terrain. Other factors were the low pricing of rides and a willingness to provide a cash option and a smartphone-free option. Geographic availability was also a plus of the dockless model for Ithaca. “Stations would have been really hard in Ithaca given our really narrow streets,” said Chang. Bike Walk Tompkins plans to handle cash payments, access with regular cellphones, and to provide a discounted rate for people receiving government assistance by registering people for Lime Access, LimeBike’s equity program, at their downtown offices. The nonprofit’s central location helps make these options accessible to local residents. Ithaca has already seen over 7,700 rides on Lime Bike in just the first few weeks of the system’s local launch.